More details have emerged about the woman with ties to Westchester told tall tales to the Washington Post claiming she had been sexually abused by much-maligned Republican Senate candidate Roy Moore as a teenager in a report posted by the Post on Monday. Jamie T. Phillips approached the Post, according to the report, claiming that Moore - who has come under fire during his Senate run in Alabama by women claiming sexual abuse - impregnated her when she was 15 years old during an alleged sexual relationship in 1992. On Monday, the Post reported that they saw her walk into the offices of Project Veritas in Mamaroneck, an organization that sets up undercover “stings” in an attempt to discredit news sources to expose what they believe is left-leaning bias. Project Veritas’ goal is to “investigate and expose corruption, dishonesty, self-dealing, waste, fraud, and other misconduct in both public and private institutions in order to achieve a more ethical and transparent society,” according to founder James O’Keefe, who declined to comment to the Post. The 41-year-old Phillips said she met Moore in 1992 when he became a county judge, the report said. She then alleged that they started a “secret sexual relationship,” during which time she got pregnant before Moore insisted she have an abortion in Mississippi. According to the report, Phillips - who lives in Stamford, Conn. - sent several emails to a Post reporter to set up the scam. There was also a since-deleted suspicious Twitter account that reached out to the same reporter. Once they met, Phillips reportedly said that she started thinking about coming forward following the Harvey Weinstein allegations. 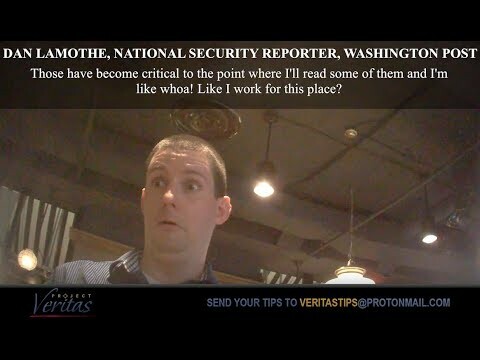 In response to the Washington Post report, O’Keefe released a video on Project Veritas, claiming that the newspaper has an agenda, including a clip of a reporter sharing his opinion on President Donald Trump. The complete Washington Post report can be read here.